New prop shaft and stern gland fitted 2015. Coppercoat antifouling applied 2015 and upgraded gelcoat 2016. Sugar scoop stern with folding bathing ladder. This Gibsea 282 is a very reluctant sale by the current owners and you can see they have looked after her and ensured she is kept in good working order since taking ownership in 2002. The Gibsea 282 is a great family cruising boat and with plenty of space onboard and with the two double cabins there is plenty of space and privacy on board. The lifting keel and just 2 foot draft when up means she is very comfortable exploring the shallows or ideal for drying moorings. She also boasts a good size cockpit and sails well even in rough seas. 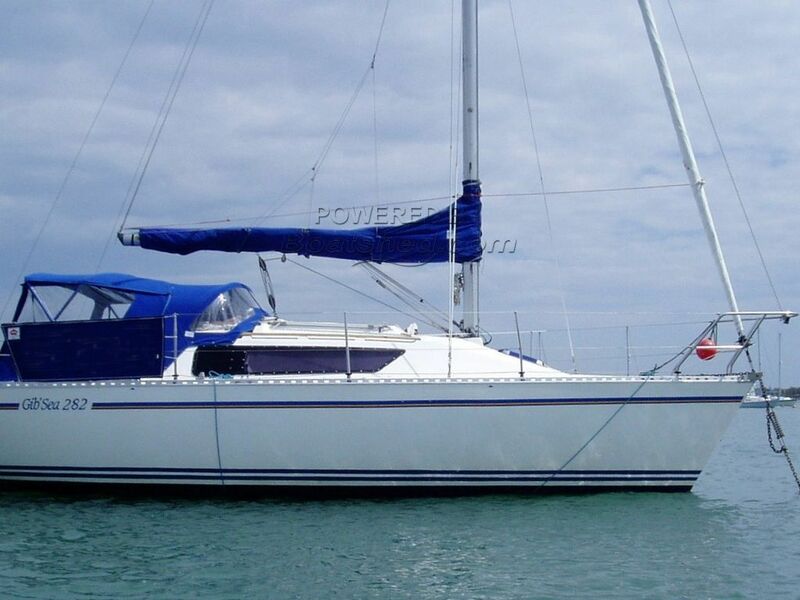 If you are looking for a Gibsea 282 or similar, this boat should be on your shortlist. This GibSea 282 With Lifting Keel has been personally photographed and viewed by Bruce Mowatt of Boatshed Hayling Island. Click here for contact details.